Bobby Edwards is the inventor and co-founder of Squatty Potty. He works to design, market and manufacture the Original Squatty Potty Toilet Stool. His innovative products improve the lives of people suffering from chronic digestive illnesses as well as those who just want a healthier life and know the value of a healthy poops. 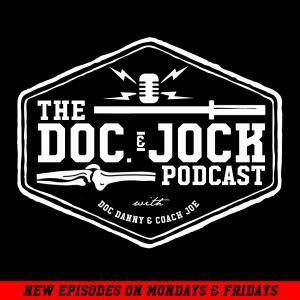 In Episode 70 of the Doc & Jock Podcast the fellas catch up with Bobby Edwards, who is the CEO and co-inventor of the Squatty Potty. Bobby tells us how the Squatty Potty came to be, what it was like to be on Shark Tank and how the crazy ice cream pooping unicorn came to be.